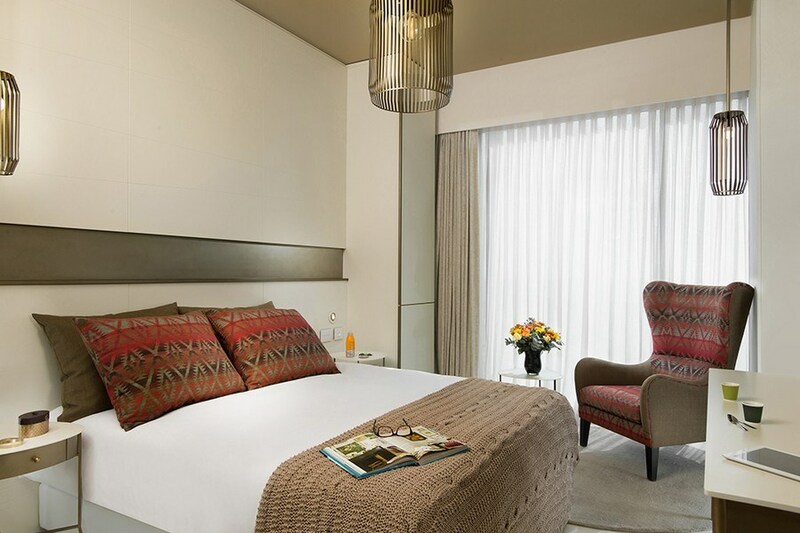 Deluxe Boulevard View RoomThese spacious comprehensively-equipped rooms afford exciting views over bustling Rothschild Boulevard. 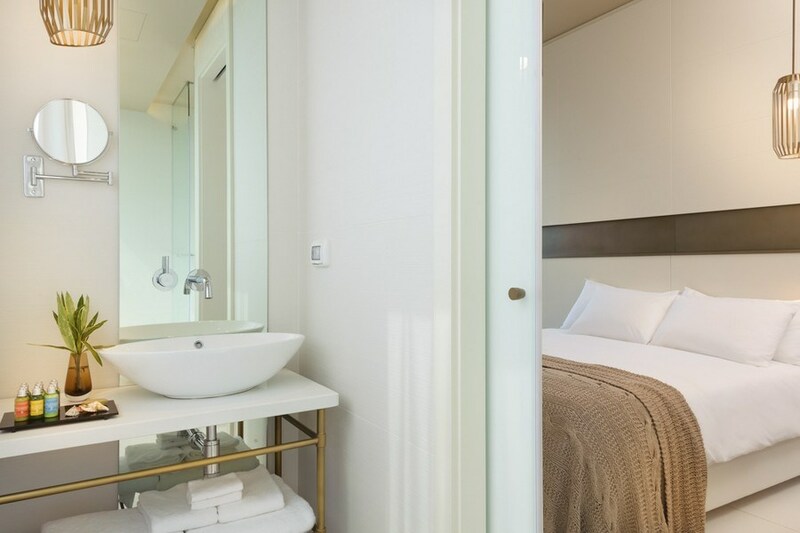 There’s also a wealth of unexpected amenities including huge IPTV, Nespresso machine and provision of luxury toiletries and bathrobes providing an opportunity to escape busy urban life and enjoy ultra-relaxing downtime. Boutique RoomsThese well-designed and superbly appointed rooms provide the perfect base from which to enjoy a romantic getaway offering cityscape views and a wide array of high level in-room entertainment options. Additional above-average facilities include fluffy robes and luxury designer toiletries. 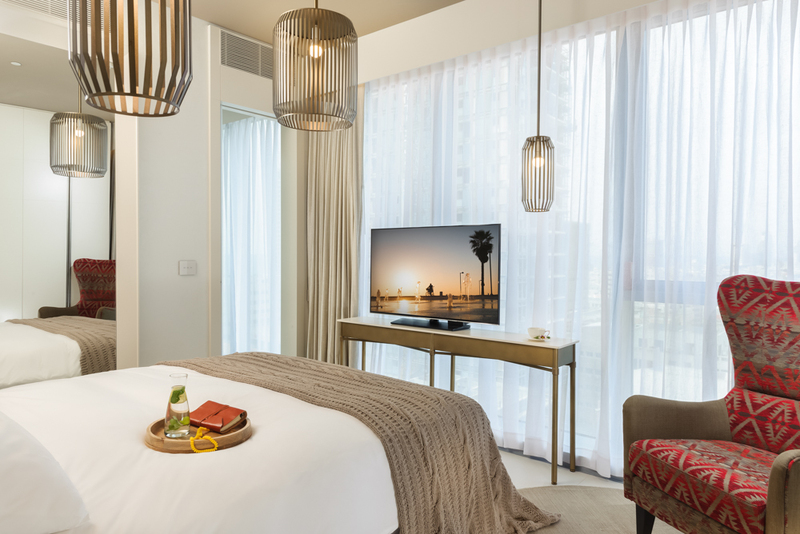 Club Sea View RoomA truly luxury experience awaits guests in these exquisitely designed and furnished rooms, where no detail has been overlooked. 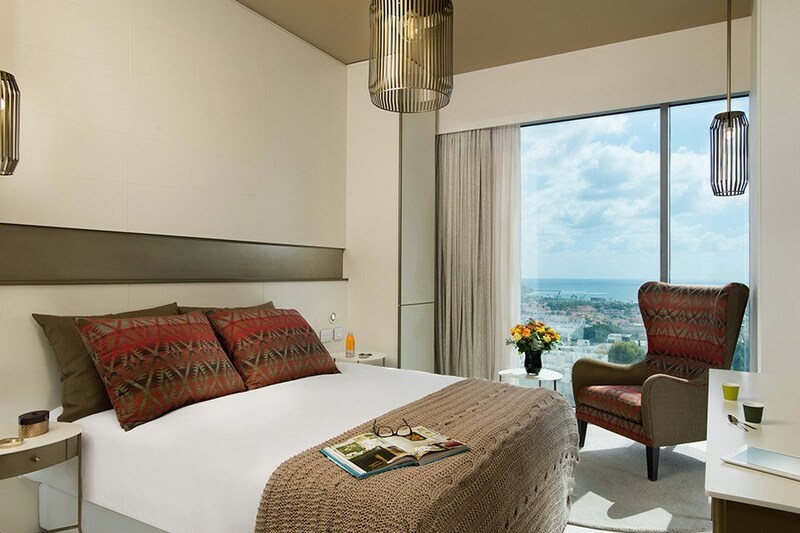 Some rooms offer superb views over fashionable Neve Tzedek, Old Jaffa and the Boulevard itself while other rooms feature glorious sea views. Guests can access an unlimited array of superior amenities from a Nespresso machine to comfortable and spacious workstation as well as comprehensive in-room entertainment options. 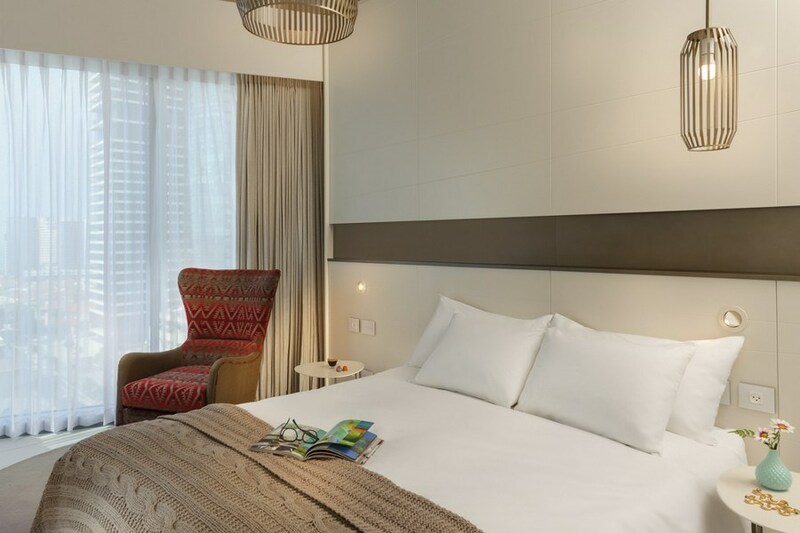 Deluxe RoomWith plenty of room for two, these Hotel Rothschild 22 Tel Aviv rooms feature a host of superior amenities to ensure complete relaxation with plenty of entertainment options including a large IPTV and in-room digital movie library. Guests can also feel pampered courtesy of the provided high quality bathroom products and luxury robes.